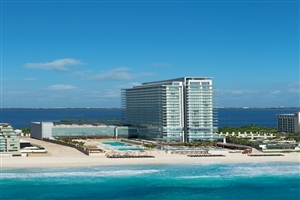 Treat yourself to Secrets’ renowned brand of Unlimited-Luxury on your Cancun holiday with a stay at Secrets The Vine Cancun. From the moment you are welcomed with a sparkling wine toast and a cool towel on your arrival, Secrets The Vine Cancun endeavours to ensure you enjoy the Caribbean escape of a lifetime, with its private concierge on call 24 hours a day, complimentary wireless internet access and breathtaking views across the Caribbean Sea. 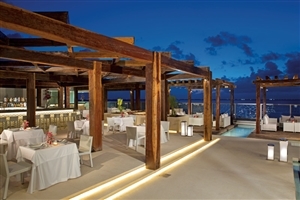 Secrets The Vine Cancun adds to the magic of your surroundings with its infinity pools, seven gourmet restaurants and a host of wonderful facilities. 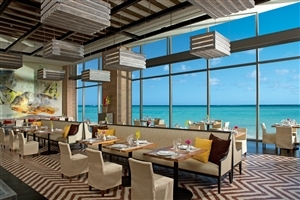 At Secrets The Vine Cancun you will find superb gourmet dining options, nightly performances, 497 refined guestrooms and superior customer service, each tailored to ensure your stay is a comfortable and memorable one. 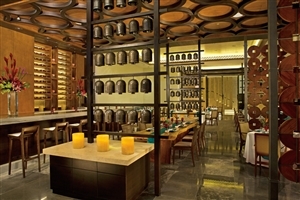 Furthermore, Secrets The Vine Cancun adds the pampering Secrets Spa by Pevonia™, which has been inspired by the unique geographical features of the region, while the on-site Wine Cellar adds to the resort’s signature attractions. 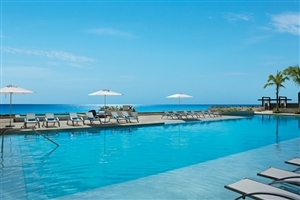 Secrets The Vine Cancun is 10 minutes from Cancun International Airport. 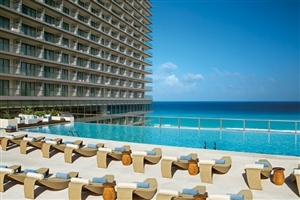 The Deluxe Ocean View at Secrets The Vine Cancun offers 54sqm of accommodation space, including a teak wood furnished balcony overlooking the Caribbean Sea. 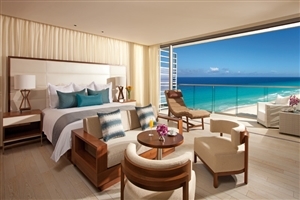 The Junior Suite Ocean View at Secrets The Vine Cancun offers 82sqm of accommodation space and features two separate sitting areas for your comfort. 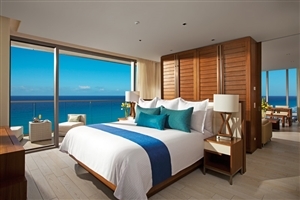 The Suite overlooks the Caribbean Sea from the balcony. 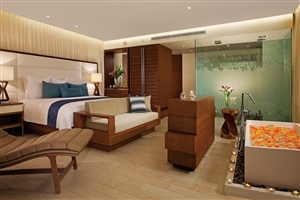 The Honeymoon Suite at Secrets The Vine Cancun offers 110sqm of accommodation space and features two sitting areas, plus a romantic in-suite soaking tub. 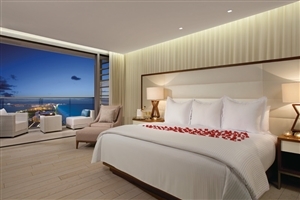 The Master Suite at Secrets The Vine Cancun offers 181sqm of accommodation space, including a separate bedroom and lounge area, a dining area and a lavishly appointed bathroom, features include an in0suite soaking tub and ocean views from the oversized private terrace. 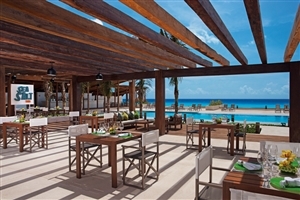 The Preferred Club Deluxe Ocean View at Secrets The Vine Cancun offers 54sqm of accommodation space, including a teak wood furnished balcony overlooking the Caribbean Sea. 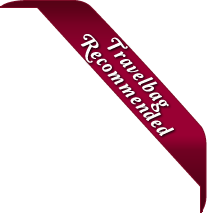 Guests will also receive upgraded amenities and services, as listed below. 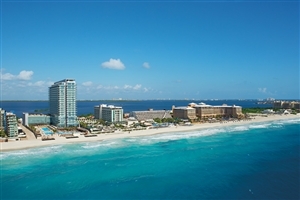 The Preferred Club Junior Suite Ocean View at Secrets The Vine Cancun offers 82sqm of accommodation space and features two separate sitting areas for your comfort. The Suite overlooks the Caribbean Sea from the balcony. Guests will also receive upgraded amenities and services, as listed below. 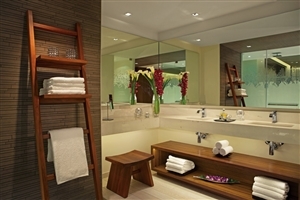 The Preferred Club Honeymoon Suite at Secrets The Vine Cancun offers 110sqm of accommodation space and features two sitting areas, plus a romantic in-suite soaking tub. Guests will also receive upgraded amenities and services, as listed below. The Preferred Club Master Suite at Secrets The Vine Cancun offers 181sqm of accommodation space, including a separate bedroom and lounge area, a dining area and a lavishly appointed bathroom, features include an in0suite soaking tub and ocean views from the oversized private terrace. Guests will also receive upgraded amenities and services, as listed below. 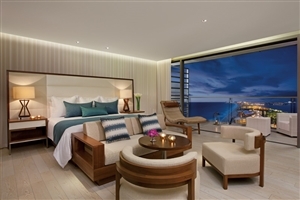 The Preferred Club Governor Suite at Secrets The Vine Cancun offers 163sqm of accommodation space and includes two bedrooms, a separate living room, a dining area, a lavishly appointed bathroom and a sleek private terrace overlooking the ocean and lagoon. Guests will also receive upgraded amenities and services, as listed below. 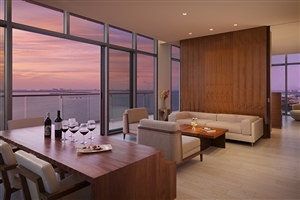 The Preferred Club Presidential Suite at Secrets The Vine Cancun offers 271sqm of accommodation space and includes two bedrooms, a separate living room, a dining area, two lavishly appointed bathrooms and an oversize terrace overlooking the ocean and the lagoon. Guests will also receive upgraded amenities and services, as listed below.